Exclusive Use of Ty Mawr. Hire out the whole hotel for your own private party! We are happy to reserve the whole hotel for a private party so a group of friends and/or family can experience the country party feel at Ty Mawr. 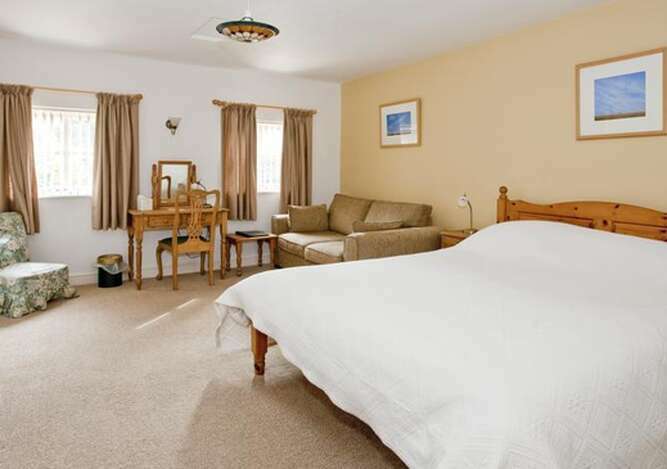 Make up a group of up to 14 for a few days in the country and take over the whole hotel and its well-appointed bedrooms. This is perfect for that special celebration whether it be a birthday, wedding, anniversary,…Together you can unwind for a few days and enjoy the unspoilt countryside, the good food and lovely old house. If you reserve at least 5 of the 6 bedrooms for a stay of two nights or more we will guarantee to not take any other restaurant bookings so you will have exclusive use of the whole hotel in the evenings as well. Although it is our policy not to have children staying under the age of 12 years, if you have booked all the rooms, then this restriction can be lifted and three of the bedrooms have sofa beds. We should point out though, that we do not have cots, highchairs, etc, and there is a river running along the edge of the garden. The weekend can be structured to meet your requirements and if you prefer we can discuss the food choices ahead of your booking so that the menus are tailored to your needs. You may like to all sit down to the same meal one night, we can extend the amount of courses if you wish or serve a less formal buffet. We can also arrange quizzes if you are of the competitive nature and croquet and boules are available in the garden. Or maybe you would like to take part in a murder mystery evening, car treasure hunt, or horse racing party arranged by us at the hotel.